ST. LOUIS, Aug. 1, 2017 /PRNewswire/ -- Cats, start your engines. Kitties can now enjoy their favorite gravy year-round with Friskies' new line of gravy products available at Kroger stores nationwide. 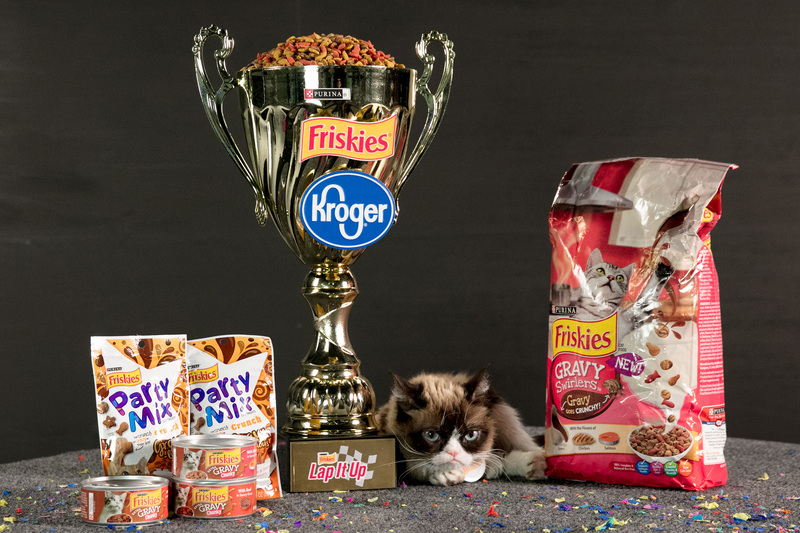 To launch Friskies® Gravy Swirlers™, Friskies® Extra Gravy Chunky and Friskies® Party Mix™ Gravy-licious treats, Friskies teamed up with Kroger to debut its "Lap It Up" digital video starring the famous frowning Grumpy Cat and Kroger stock car driver A.J. Allmendinger's furry friend, Mr. Tickles. "Partnering with Friskies and Kroger on this campaign has been great. Mr. Tickles can finally show off his professional racing skills," said Allmendinger. "Mr. Tickles holds his own next to one of America's most famous felines, Grumpy Cat, and I couldn't be more proud. Mr. Tickles may soon be lapping me!" 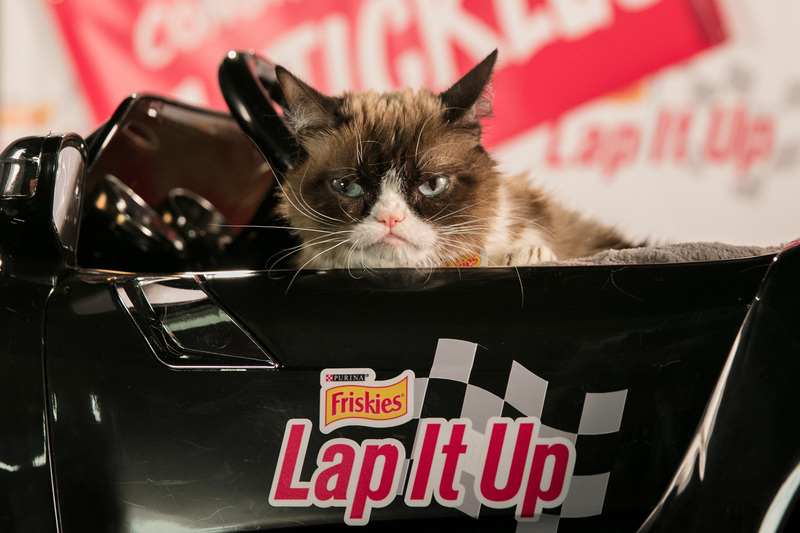 In the 60-second video, Grumpy Cat shamelessly tries to "motivate" Mr. Tickles who is on a quest to become the "First Cat of Professional Racing" as he sets out to "Lap It Up" at the track. 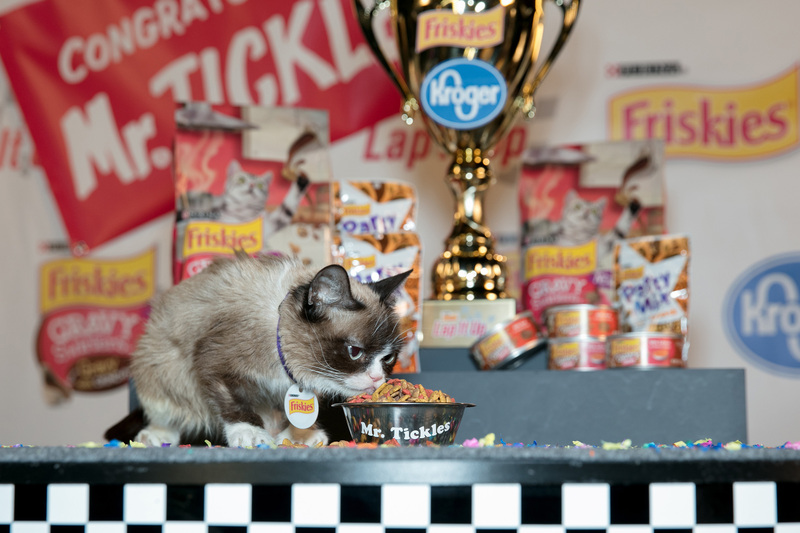 After fueling up with Friskies Gravy Swirlers for his big debut, Mr. Tickles gets "lapped" by Grumpy Cat at Victory Lane. Check out the full video at www.Kroger.com/Friskies. "Through our partnership with Kroger, Friskies is able to introduce its new gravy products in an unexpected way utilizing A.J. Allmendinger's cat, Mr. Tickles, and Friskies 'official spokescat,' Grumpy Cat," said Eric Winter, Manager, Retail & Shopper Marketing Manager for Purina. 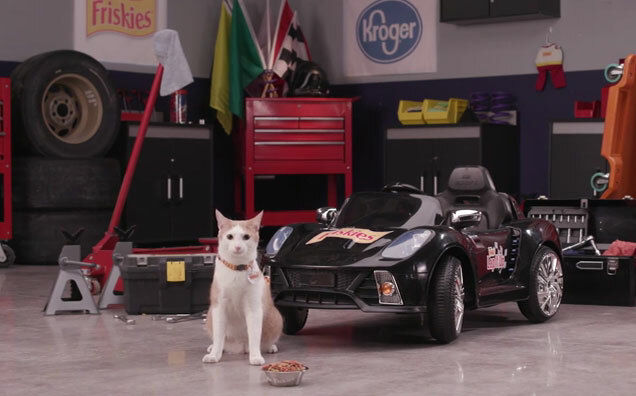 "We anticipate that cat lovers and racecar driving fans alike will enjoy the video and make a pit stop at Kroger to pick up their cats' favorite gravy products."